Why are we apologising for taking children on planes? 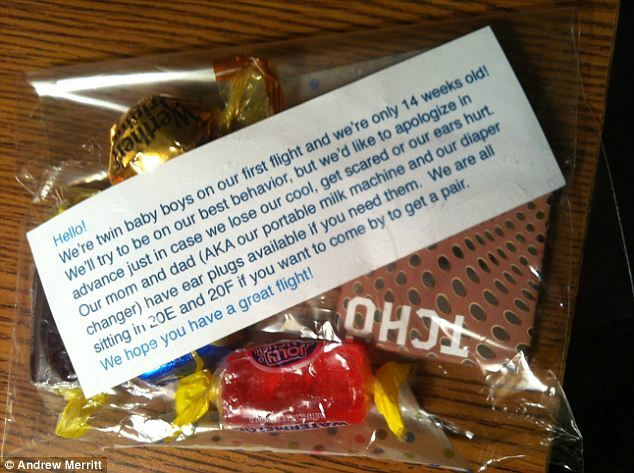 Why are we apologising for taking babies on planes? I mean, those aren’t the actual words. But that’s the upshot. Because before their child has even opened its mouth, they’re apologising. Just in case. And yes, that’s a nice thing to do and yes, it shows that you’re a selfless person. But if I’m honest? I think it also shows that you’re a bit of a fraidy cat. You were a baby once, and during those couple of years there’s a very good chance that you did some crying. It was probably loud and definitely annoying and almost certainly in a public place. Because that’s just kind of part of the deal with small kids. We’ve all been near a loud child when we’ve got a hangover or a headache and wished that we could wave a magic wand and silence the screaming. But if you’re sensible then on some level you know that you have no more right to wherever you are than the baby does. Of course it’s frustrating, but I can guarantee you it’s a hell of a lot worse for the poor parent who’s desperately trying to silence it. I think the main reason that people hand out sweets and ear plugs is so that they can be seen to be doing something to prevent your discomfort. Yes, the baby might cry, but at least no-one can say that you were selfish and that you tried. But that’s ridiculous. Of course they’re trying: the harassed parent doesn’t want to listen to the screaming any more than you do. You shouldn’t have to hand out favours for people to know that you care about your child being disruptive. We’re so willing to accuse parents of doing nothing, of not caring, of being selfish. You’re never more judged than when you have kids. And handing out ear plug/sweet packs smacks, to me, of giving in to that judgement, of asking people to judge you kindly, rather than telling them to mind their own damn business. I think a lot of us have this phobia of changing into Parents when we have kids – the type of parents who can’t look outside themselves and see the world around them. And it’s right to worry about that, because it definitely happens. When you have children you do change, and your life changes. Your world view might shrink and your family might become the extend of your focus and you know what? That’s okay. You don’t need to reassure strangers that you’ve still got manners, that you’re still a functioning person, that you too know what its like to have a hangover on a train with a screaming child. Of course we need to back off and stop constantly judging perfectly decent parents. But parents also need to stop apologising for having kids, or for their kids tending to act like, well, children. So if and when I have children I’ll be boarding planes as often as I can afford to, and the only people I’ll be handing sweets out to will be my kids.